One of the biggest challenges that the first-time users of money counting machine is using the machine itself. Like most of the machines, money counters have a standard procedure that should be observed to operate it. That is where most users get it wrong. The first step after you have bought the machine, whether it is a replacement or not, is to read the manuals. The machine usually comes with two manuals, the user manual which about the basic operation of the machine and the technical manual which is more the making of the machine. First, you need to understand the user manual as it describes how you should use the machine. It provides procedure on that should be done. That should be the basic step once you have brought the money counting machine into the business. The second thing buyers should do is carry out more trial runs to ascertain the performance and effectiveness of the machine. 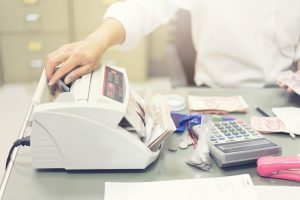 You need to check the speed of the machine as well as its capability to execute other functions, and that includes the detecting fake bills and others. This is a very important step that ensures before the machine is fully applied in the business, you are 100% sure that it will deliver the expected results. Without this, you might be using a faulty machine which could cause you imaginable damage to the business. Read the instruction on how to use the machine properly. The most important thing that you need to check is the load. Check how much load the machine can carry. That worst thing that you can do is overload the machine. Always avoid that. Maintenance of a money counting machine is crucial. You must ensure that the machine is properly maintained as per manufacturer recommendation. It is also wise to have the machine checked on a regular basis. You can have the machine maintained after a few days. These are four key tips that you need to consider.